Although Richard Brautigan tragically took his own life in 1984, before he died he left us some legendary literary classics such as “Trout Fishing in America.” This novel in particular has greatly influenced many other prominent writers, such as the celebrated Japanese novelist Haruki Murakami. By the 1990s, Brautigan’s legacy was so strong that, in 1994, a young man named Peter Eastman actually changed his name to “Trout Fishing in America” and a young couple named their baby after the novel. Indeed, “The Tokyo-Montana Express” is a story of 131 stations inspired by the author’s reminiscence of Montana and Tokyo. Each story of the book represents each stop along Brautigan’s spiritual journey to Japan. At each juncture, we can see the American writer’s fascination with Japanese culture and his struggle to understand subtle Japanese psychology. Reading “The Tokyo-Montana Express,” Korean readers might wish there was a similar book titled “The Seoul-Washington Express.” If such a book were available, American politicians could ride the “Seoul-Washington Express” and understand Korea better. Then we could prevent many misunderstandings between the two countries. 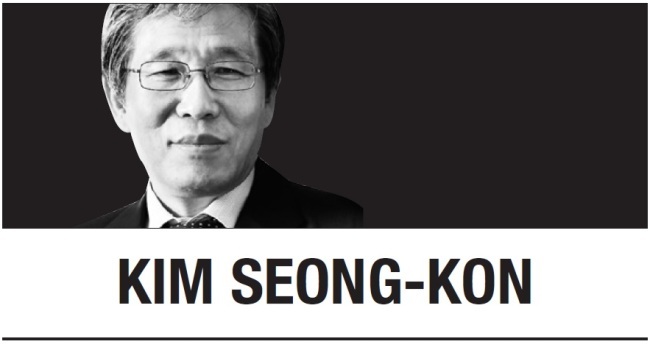 Kim Seong-kon is a professor emeritus of English at Seoul National University and visiting professor at Kyunghee Cyber University. He can be reached at sukim@snu.ac.kr -- Ed.